Dr. Rodney Pearson is a retired pastor who worked for many years to bring a working and practical understanding of unconditional love into the lives of people everywhere. The mission goes beyond race, religion or region. Dr. Pearson has worked hard in the field of counseling and mental health for over 25 years. Although he grew up in the gang ridden streets of Compton, Ca, during the height of gang warfare, drugs and voilence, his hunger for education lead this high school drop out to find an adult school to earn his GED. After that he earned an A.A. and B.S. in Psychology, and M.S. in Professional Counseling, a graduate certificate in Domestic Violence and a Doctorate of Ministry and received an Honorary Doctorate of Theology. Dr. Pearson served as a pastor for over 40 years. He is an entrepreneur, a national speaker, music and theater producer, screen writer, and an authro of 12 books of subjects such as healthy relationship building. He is the founder of the R. Pearson Learning Institute, Dean of the Tuscon Bible College, founder of Brothers United Against Domestic Violence, producer and creator of Crisis TV and radio broadcast. Crisis is a cross between a reality TV show, investigative news, and talk show. 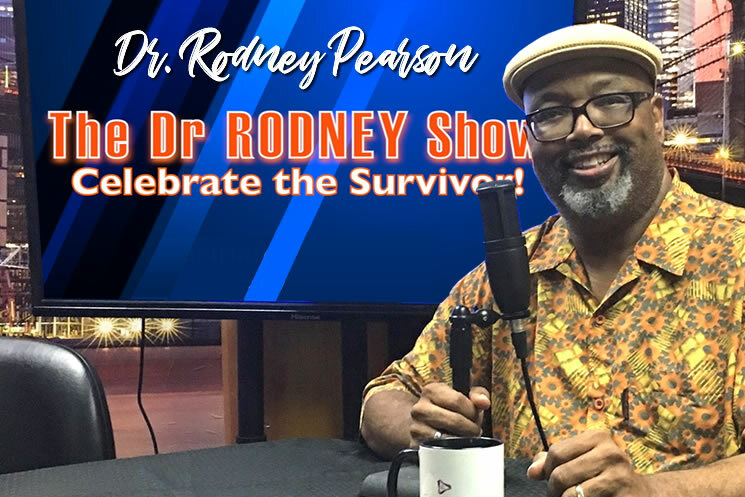 As host and professional crisis counselor, Dr. Rodney Pearson and co-host Christina Eve Vidales, celebrate the survivors of various crisis such as natural disasters, victimization and circumstances of life depicting interviews and intervention that can help individuals deal with the crisis by offering assistance and support.